Special edition of Live in Placard #7. 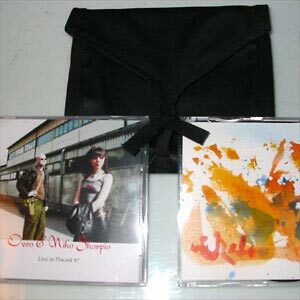 Limited edition of 23 copies in special hand-made package with exclusive bonus CDR + hand-painted cover. - Recorded live in Living Room during the Autumn Equinox 2004. -About 30 minute film that was used as a background video on Ovro's live performances at the time. Here combined with Ovro's Placard #7 live recording. Made by Ovro.